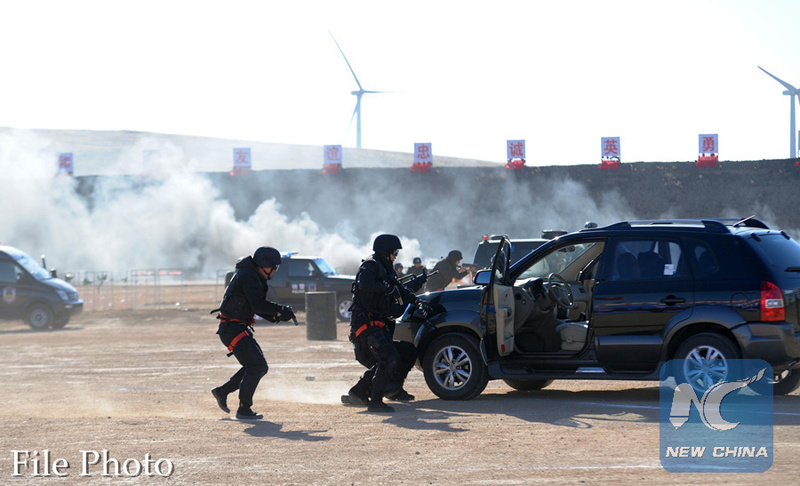 MOSCOW, Aug. 28 (Xinhua) -- Two militants were killed in an anti-terrorism operation on the outskirts of the Khasavyurt city in the Republic of Dagestan in Russia's North Caucasus, Russia's National Anti-terrorism Committee (NAC) said Monday. "During the shootout, two militants from the so-called Khasavyurt gang were neutralized. They are being identified," the NAC said in a statement. Automatic weapons, ammunition and grenades belonging to the suspects were seized on spot, while improvised explosive devices were destroyed in controlled explosion, it said. According to the statement, there were no civilian casualties, as residents in the neighborhood had been evacuated in advance. However, two police officers died from injuries received during the skirmish, it added. The searches and investigation are underway, the document said.